Marooned Without a Compass Day. Seriously, look it up. It is a day, and that day is today! 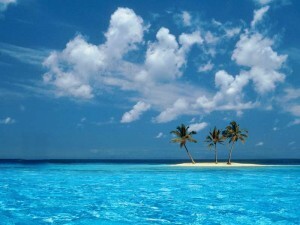 I can’t help but find myself dreaming about being stranded on a desert island in the South Pacific. Not in the creepy, “Lost” kind of way, but more of the isolated, survivalist, “Cast Away” type of deal. I imagine digging through those undelivered packages strewn across the beach. Of course, I would first try to find some companionship in the form of a sports ball with a bloody hand-print, but after that I would focus my efforts on finding those packages marked as “olive oil” or “yeast samples”. Yes, that is a sure sign of a decent beer trade. Maybe I would find a shipment of the expensive Reserve Club from The Bruery. Maybe I would find a few shipments of homebrew that are headed for judging at a competition. Best yet, maybe I would find a box from one “Whalez Hunter” to another. That would certainly make being stranded a little easier to take. Of course, I would have to hope that someone was shipping a solar-powered refrigerator too, because I am sure those beers would be less than optimal at tropical temperatures. Yeah, or something packed in dry ice would do (that guy didn’t really need that kidney, right?). Filed Under Beer News. Bookmark the permalink.